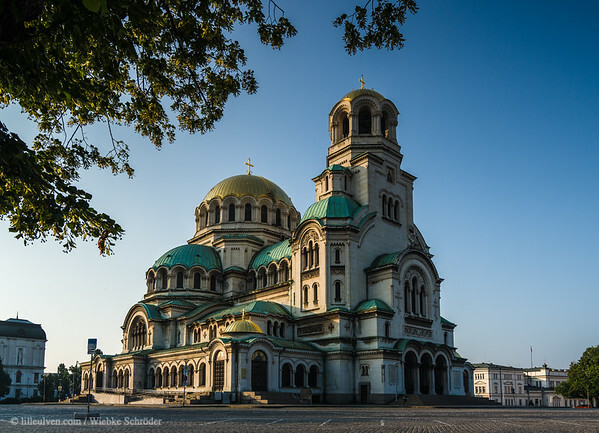 , Sofia, Sofia City Province, Bulgaria The Alexander Nevsky Cathedral was built to commemorate the 200.000 soldiers who gave their lives in the battles of the Russo-Turkish war of 1877-1878, which lead to the libaration of Bulgaria from the 500year long Ottoman occupation. The building got its name from Lord Alexander Nevsky, a Russian Tsar, who in the 13s century defeated the Swedes at the River Neva and the Germans two years later in the famous "massacre on the ice". uuid="0941F968-649F-427A-9045-5A881DC98369" id="Bulgaria lilleulven.com _K3_1819-Bearbeitet.tif Bulgaria lilleulven.com"